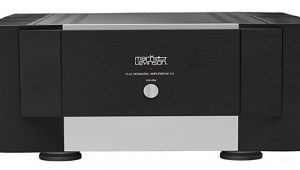 Was it more surprising that, in 2015, PS Audio would produce a monoblock class-AB power amplifier containing vacuum tubes, or that PS Audio would release a monoblock power amplifier at all? I'm not sure. 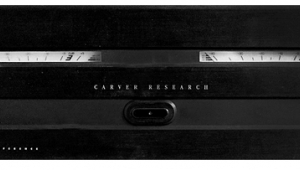 In 1974, Paul McGowan and Stan Warren founded the company to produce and market a standalone phono preamplifier, sold directly to consumers for $59.95. From there they naturally progressed to a series of line-level preamplifiers. 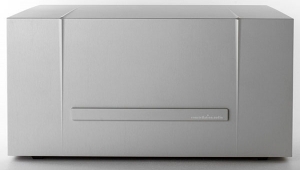 Toward the end of the '70s, PS Audio produced the Model One, the company's first power amplifier. 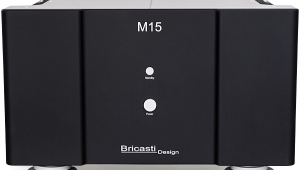 In the mid-1980s came the high-performance, moderately priced ($495) 4.5 and 4.6 preamplifiers. I reviewedand boughta 4.6 a few years after I began reviewing gear for The Abso!ute Sound; Tom Norton reviewed the 4.6 for the September 1988 issue of Stereophile. In 1990, McGowan left PS Audio to join industry veteran Arnie Nudell at Genesis Technologies, the high-end speaker company Nudell founded after exiting his previous startup, Infinity. The latter company produced, among other things, the legendary IRSperhaps the most expensive ($45,000/pair in 1988) and sophisticated loudspeaker ever made. 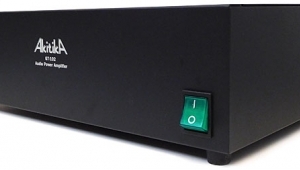 Meanwhile, PS Audio's new owners concentrated on DACs, one of which, the UltraLink, was highly recommended by Stereophile. Financial problems caused PS Audio to close in 1997; shortly thereafter McGowan bought back the name "PS Audio," left Genesis, and relaunched his company. The new PS Audio, located in Boulder, Colorado, grew rapidly, mostly on a diet of AC-regenerating power conditioners, DACs, and other products that occupied niches carefully carved from the crowded wall of high-performance audio. 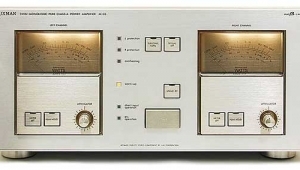 But it was long before all thatway back in 1985when PS Audio created the product that lifted them into a far higher echelon of circuit sophistication and sound quality: the company's first "muscle amp," the 200C, designed by former Harman/Kardon engineer Bob O'Dell. (O'Dell replaced Stan Warren when Warren left to form Superphonanother company producing budget-priced, high-performance gear.) Anthony H. Cordesman and J. Gordon Holt reviewed the 200C in Stereophile late in 1985. 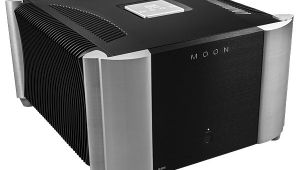 With certain caveats, AHC said that he'd not heard a better amp at any price. 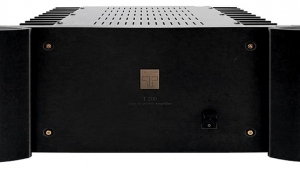 While JGH was somewhat less effusive, he was still mightily impressed: "I've never heard this kind of high-end sound from an amplifier in the 200C's price range." He concluded by calling it, "if not a world-beater, at least a world-class amplifier." I'm going into such detail about a 30-year-old, discontinued product because the 200C was one of PS Audio's last attempts at power-amp greatnessuntil now. That's a big deal. What's It All About, Paulie? 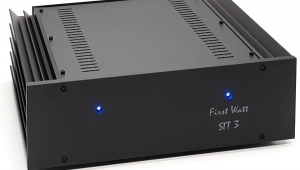 What prompted Paul McGowan and PS Audio to re-enter the power-amp market at this point in time? I didn't ask, but it appears to have been a combination of peer pressure, an opportunity worth seizing, and a good feel for managing the clock in the fourth quarter of the game. The result is the BHK Signature 300 ($14,998/pair), a powerful tube-MOSFET hybrid monoblock, designed by Bascom H. King and beautifully made in America. 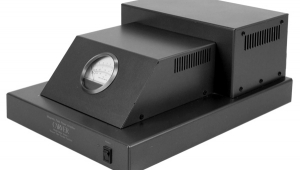 In the 1990s, King reviewed amplifiers for the defunct Audio magazine. He is also responsible for designing Constellation Audio's considerably more expensive and highly regarded amplifier line, as well as amplifiers for Conrad-Johnson and Marantz. In 1979, he developed the Infinity Class A hybrid amplifier (tube input, solid-state output), which JGH said, at the time, was "the best-sounding amplifier I have ever heard." The BHK Signature 300 amp presented King with an opportunity to again come up with a unique hybrid design, while giving McGowan a chance to produce a statement model for his company. It appears that Nudellwho began working with King back in 1980, while developing the electronics used in the IRS speakerwas there to kibitz, offer advice sonic and otherwise, and provide a reference-quality system and listening room with which to evaluate the project as it developed. He also provided the ultimate endorsement for the finished product: "The first amplifier I gave up a lifetime obsession with tubes for." 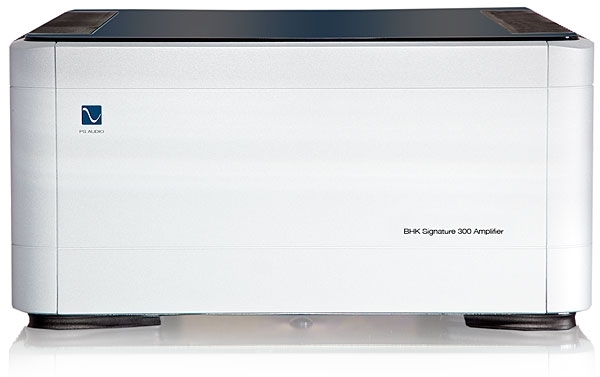 For more background on the development of the BHK Signature 300 and its stablemate, the BHK Signature 250 Stereo Amplifier ($7499), you can watch the videos on PSA's website. There you'll hear from McGowan, Nudell, and Kingwho finally gets his initials carved into one of his electronic designs. These guys describe themselves as oldthe videos are sprinkled with age jokesbut with age, they claim, comes experience and the wisdom to make wise choices. They hype and pitch with the best, so enjoy the show, but don't get sucked in too far. There's plenty of breathless hype in PSA's literature as wellall of which I'm convinced that they, in all sincerity, believe. 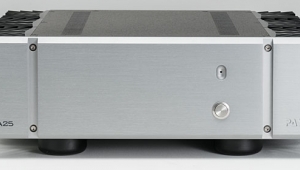 The BHK Signature 300 features a balanced differential input stage using a matched pair of Gold Lion 6922/6DJ8 tubes, and a balanced differential power output stage using metal-oxide semiconductor field-effect transistors (MOSFETs), both sections fed by separate isolated analog power supplies. In other words, each case houses two completely separate systems: one each for the tubed and solid-state circuitry. The BHK 300 is claimed to produce 300W into 8 ohms, 600W into 4 ohms, or 1000W into 2 ohms. For this review I used only the stock 6922 tubes; of course, you can roll your own. As Bascom H. King explains in one of his videos, most MOSFET-based solid-state output designs use complementary symmetry: n-channel MOSFETs for the positive part of the signal, p-channels for the negative. The BHK 300's differential-output amp exclusively uses n-channel devices, which, he claims, produce lower distortion and perform better overall. However, using n-channel MOSFETs for both the positive and negative signals requires some design innovations, as King explains, while admitting that this produces greater amounts of odd-order harmonic distortion than it does the less-innocuous even-order distortion, and necessitates the use of global feedback. Still, he felt that the decision to use only n-channel MOSFETs is one of the reasons the BHK amps came out sounding as they do. The specs claim less than 0.1% total harmonic distortion, 20Hz20kHz, indicating that this design may indeed trade ultralow distortion for what PSA claims is extraordinary sound. 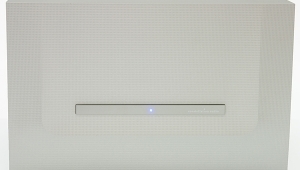 Though not in the "wow" category, the BHK 300's wraparound faceplate is attractive enough. But given the performance claimed for this powerful, 83-lb amp, any front panel will do! The BHK 300 features traditional "through hole" circuit-board construction, considered a luxury in comparison with today's less-expensive surface-mount technology. 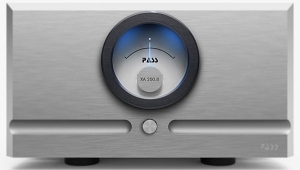 In addition, PS Audio claims that "Each passive component is hand selected to provide the cleanest path possible. PRP resistors, film and foil Rel Caps, and the finest sounding parts possible are hand soldered onto BHK's circuit boards." On the rear panel are two pairs of gold-plated, solid-copper binding posts and single-ended (RCA) and balanced (XLR) connectors, plus an IEC socket for the AC cord. The one unusual thing is a removable hatch through which you can easily access the tubes. For a BHK 300 getting normal use, PS Audio suggests replacing the relatively inexpensive tubes once a year. Once everything is connected, flip the rear-panel rocker switch to power the solid-state circuit so that it's ready to go at all times. Push the PS Audio logo on the front panel and it lights up, signaling that power is being fed to the tubes. A few minutes later, you're ready to play music. Though the BHK Signature 300s are fully balanced, I ran them single-ended, from my single-ended reference preamp, the darTZeel NHB-18NS. Everything was plugged in to my single, dedicated AC circuit, but I ran into a hum problemwhich, in my system, happens only with some balanced amps that are being operated in single-ended mode: Keep that in mind if you run single-ended and are considering the BHKs. Cheater plugs took care of the hum, and I was subjected to only occasional lethal shocks (kidding). Sound Fit for a (Bascom H.) King? 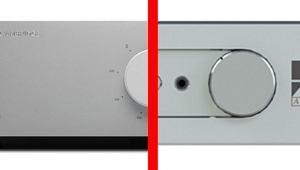 While many audiophiles still express a strong preference for one technology or the other, the truth is that today, the gap between the sounds of tubed and solid-state electronics has considerably narrowed. 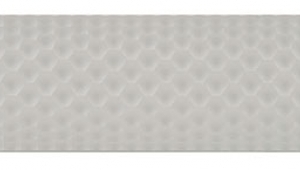 The better tubed gear doesn't sound soft on bottom or rolled off on top, nor do the better solid-state components sound overdamped on bottom and hard, harsh, and edgy on top. Transistor-based designs can produce richly textured warmth and well-realized harmonic expression, and tubed electronics can deliver well-extended highs and naturally sharp transients. Yet these technologies can still bring to the listening experience the qualities most appreciated by advocates of each. The gap may have narrowed, but partisanship still rules. Mike, great write up. You mentioned the hum problem, but it is not clear how you eliminated it. Please clarify. Also, you express that the deepest bass was not spectacular in comparison to your 6 figure price tag reference monoblocks. In your opinion, what choices did Bascom King make in the design of his amp that led you to conclude that the extreme deep bass performance was less than world class say in comparison to Soulution, dartzeel and Constellation. Hi Michael I just finished reading the review of the BHK-300. I have the Goldenear Triton Ones. I am looking to buy this amp, or the Parasound JC1 monoblocks. You reviewed both amps, I know the JC1, was back in 2003. I highly value your opinion. What amp would you buy to pair up with the Triton Ones today? Thanks for the help.